Time for another one of my tried and tested recipes and it’s another Jamie special. I can’t help it, I just love both 15 minute meals and 30 minute meals. Definitely two of my all time favourite cook books. I think the reason I love them so much is that the recipes are just so do-able and they’re not all fancy, save it for a special occasion or dinner party type meals, they’re things you can make really easily everyday and even mid week. 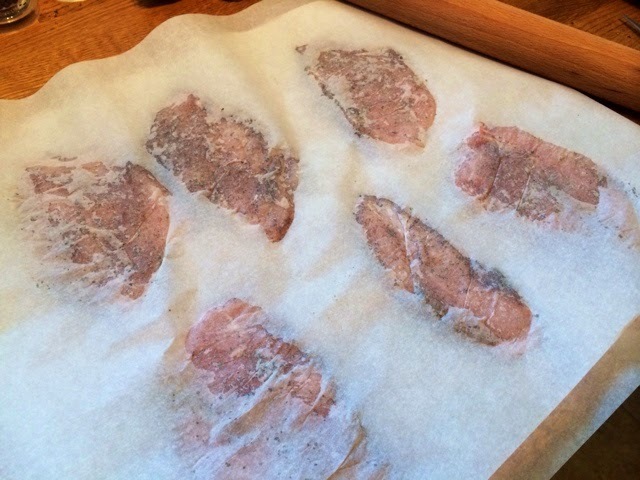 This particular dish comes from Jamie’s 15 Minute Meals and as with a lot of his chicken recipes from this series involves bashing out the chicken with a rolling pin until it’s about 1cm thick. Not only is this great as it means you can fry the chicken for just a few minutes on each side and it’s done, but it’s also really fun to do and quite therapeutic! 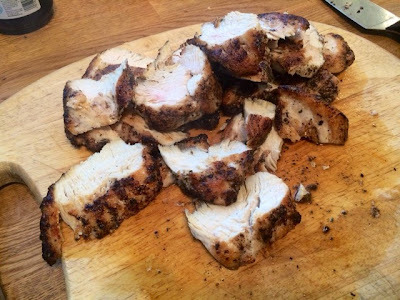 Having been rubbed with oregano and allspice, the outside of the chicken takes on a gorgeous blackened colour which not only looks good but is also really tasty. Jamie Oliver often gets criticised by people saying that it took them more than 15 minutes to make his recipes, and I’m sure with some it just takes a little practise and organisation to get it done in the time. 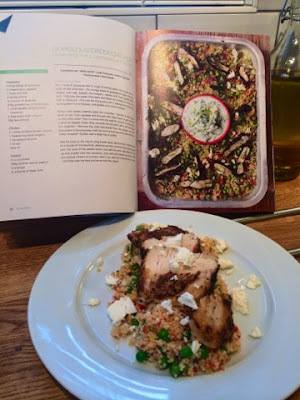 However, with the chicken in this recipe taking 8 minutes max and the cous cous soaking in a few minutes I really do think you would struggle to make this recipe take any longer than quarter of an hour. The only element I skipped from this recipe was the tzatziki. This was mainly because I’d made a few dips for a meal the day before and we had plenty left over. I do think tzatziki would have gone brilliantly with the dish though. 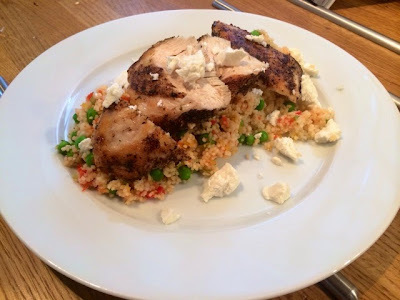 I loved the idea of crumbling feta over and treating the cheese as a seasoning, absolutely delicious. 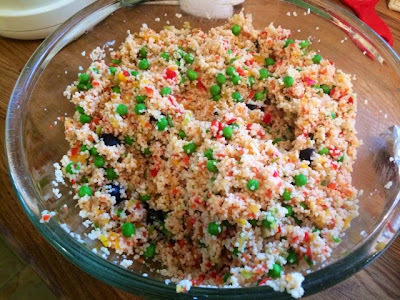 It gives a great salty tang to the otherwise light and fresh cous cous. My favourite thing about this dish is the seasoning on the chicken, I’ll definitely be using it again and I’ve been thinking about different ways of using it.. perhaps for chicken kebabs to put on the BBQ? Overall, this is a really great family meal that’s easily do-able mid week and both healthy and satisfying for all the family.